Since 1990, Buyer’s Choice Realty has been assisting home buyers in the Boston area real estate market. We are an exclusive buyer agency working ONLY with buyers, NEVER sellers. The Greater Boston area is a large region in New England encompassing the city of Boston and surrounding communities, including Arlington, Beverly, Gloucester, Hamilton, Melrose, Somerville, Winchester, Wenham, and many others. In addition to downtown Boston living, the Greater Boston area features a wide variety of bedroom communities – providing a unique array of character, home styles and price ranges. The community of Beverly MA is among the oldest of its kind in the entire state of Massachusetts. Steeped in historical significance and boasting a rich cultural heritage. Beverly’s real estate offerings range from fixer-uppers to single family starter homes for first-time buyers to highly sought-after estates. It’s little wonder the list of Beverly MA homes for sale draws home buyers from all walks of life and throughout the entire United States. Situated on the North Shore of Massachusetts, Beverly is roughly 25 miles from Boston. Beverly is located in Essex County and has a population of approximately 41,000 people. As mentioned, Beverly has a rich and colorful history. Beverly is considered by many as the “birthplace of the United States Navy,” having the distinction of launching the first ship ever commissioned by the fledgling Navy in 1775. In addition, many historians credit Beverly with the start of the American industrial Revolution, having the first armed war schooner and the country’s first cotton mill. 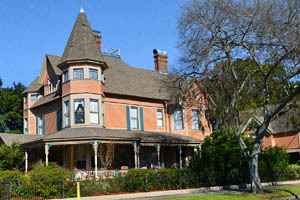 Today, Beverly features a unique combination of residential property, sprinkled with light industrial and commercial manufacturing along with tourism interests. During the past 50 years or so, Beverly experienced a transformation of sorts, having gone from a largely industrial area comprised of major manufacturers to a Boston suburb. Current estimates put Beverly at 85 percent residential. Beverly offers something for everyone. The neighborhoods to the west of Beverly, such as North Beverly, are more suburban in nature and the eastern neighborhoods are decidedly more rural. Beverly Farms, among Beverly’s most popular neighborhoods contains a number of stately, historic oceanfront homes. Other notable neighborhoods include Beverly Cove, Centerville, Monsterrat, Ryal Side and Pride’s Crossing. When it comes to real estate values, the estimated median home value in Beverly was slightly less than $400,000. Boasting an excellent public school system, Beverly is also home to Endicott College, a renowned private college offering more than 40 undergraduate and graduate school programs. There’s also a Beverly campus of the North Shore Community College. Beverly’s location allows easy connection and access to a variety of routes throughout Massachusetts, including Route 128 and I-95. In addition, a number of state highways converge in Beverly, including Route 1A, Route 22, Route 62, and Route 97. If you’re looking for picturesque surroundings featuring small-town charm with big city access, look no further than Beverly, MA. Hire Buyer’s Choice Realty, Inc. – an exclusive buyer agent – and browse through the list of Beverly MA houses for sale today. By working with an exclusive buyer agent, you can rest assured your agent will negotiate the best sales price possible… only for you! With a population of slightly over 30,000 the town of Gloucester MA is located just 40 miles north of Boston. Gloucester real estate offerings range from large waterfront estates to downtown townhouse condos. The north side of Gloucester harbor is largely comprised of an urban core and is surrounded by popular neighborhoods such as Annisquam, East Gloucester, Lanesville, Magnolia, Riverdale, Rocky Neck, West Gloucester, and Wingaersheek. 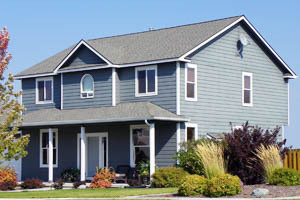 Real estate in Gloucester is very popular among a wide variety of home buyers throughout the northeast United States. Because of its attractiveness as a summer destination, Gloucester’s population swells during the season as visitors flock to the area to take in the sights and sounds of a true New England fishing village. The median home value in Gloucester MA is estimated to be roughly $390,000 while the mean household income is approximately $62,000. The Gloucester area offers an array of cultural attractions such as museums, art and sculpture galleries and some of the best seafood restaurants on the Eastern Seaboard. Gloucester is home to Rocky Neck, one of America’s oldest art colonies. Concern over protecting the town’s lifeline – the Gloucester waterfront – city officials have restricted residential building and development there. The city is also involved with the national Park Service to establish its own industrial fishing park highlighting actual working fishing boats. The overall concept is to capitalize on the history and popularity of the Gloucester Harbor, while maintaining the charm and quaintness which appeal to residents and area visitors alike. The Gloucester Public School District proudly serves the city of Gloucester and features 5 elementary schools, a middle school and a high school. In addition, there’s a community arts charter school in Gloucester. The naturally pristine views of Gloucester continue to be among the top drawing cards for home buyers looking to purchase in this Massachusetts North Shore community. Let Buyer’s Choice Realty assist you in your search for Gloucester MA homes for sale. And remember, as an exclusive buyer agent, we work for you – and only you – to find the best house available at the best price! Located just two miles northwest of the city of Boston, Somerville MA boasts a population of just under 80,000. As a major suburb of Boston, Somerville MA is among the most densely populated cities in America, ranking 16th among incorporated municipalities in the United States. The real estate market in Somerville MA includes a wide range of homes and condos for sale – and the area is in high demand. Many of the single-family homes offered for sale in Somerville MA are historic old houses reminiscent of the simplicity and beauty of days gone by. In addition, the recently constructed homes and condos reflect the progress that this growing Boston bedroom community is known for today. Popular neighborhoods in Somerville, MA include Ball Square, Prospect Hills, Spring Hill, Winter Hill, Teele Square, and West Somerville. The median price for a house or condo in Somerville, MA is estimated to be roughly $559,000. The median household income is estimated to be approximately $86,500. Demographically, the portion of Somerville MA’s population between the ages of 20 and 34 is substantial – nearly 43% – making it more than double the statewide average in Massachusetts. Somerville MA is home to the second-largest concentration of that age group in the United States. In fact, the median age of a Somerville MA resident is 31 years, which is 8.4 years younger than the median age of the rest of Massachusetts. In 2006, the Boston Globe newspaper named Somerville MA the “best-run city in Massachusetts. Twice the city has earned the coveted All-America City Award – in 2009 and in 2015. Part of what makes Somerville MA attractive to home buyers is its livability. Popular among residents with active lifestyles, the city of Somerville MA has been characterized as being very pedestrian and bicyclist friendly. Recent studies show that nearly half of city commuters either walk, ride a bike or take advantage of public transportation to get to their jobs. In addition, the city features a number of busy commercial areas boasting shopping, dining and entertainment options. Among the perennially popular nighttime attractions is the area known as Davis Square, complete with bars, nightclubs, theaters and great restaurants. And for your sightseeing and daytripping pleasure, Somerville MA offers dozens of sites listed on the National Register of Historic Places. The Somerville MA real estate market consistently ranks among the busiest and most sought-after markets in New England. 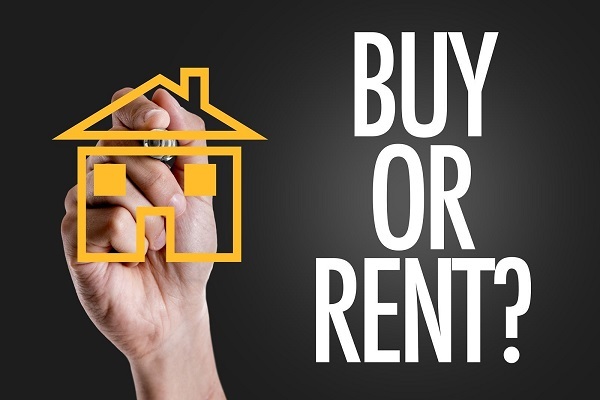 Home buyers interested in purchasing in Somerville MA should think about retaining the services of Buyer’s Choice Realty – an exclusive buyer agent. In popular markets like Somerville MA and during what can be characterized as a seller’s market, we can assist home buyers in negotiating the best possible price for the home in which they are interested. Founded more than 350 years ago, Arlington MA is only six miles from Boston. Average home values range from $607,000 to $640,000. From single family homes to apartments, there are great choices of properties for sale. The most affluent neighborhood is Arlington Heights with some beautiful houses for sale overlooking downtown Boston. 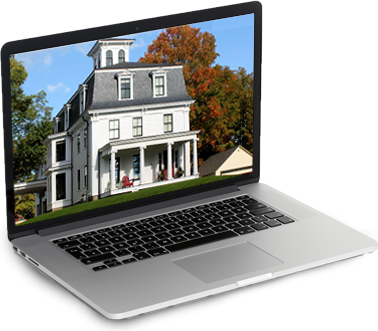 Check out the list of Arlington MA homes for sale and let us help you find the perfect one for you! If it’s a more rural setting you’re looking for, you owe it to yourself to visit Hamilton MA. Located roughly 30 miles northeast of Boston, Hamilton MA is known for its equestrian events and activities. As such, the real estate offerings range from houses on large lots of several acres to horse farms to luxurious single-family homes. The average home value in the Hamilton MA real estate market are approximately $510,000. We hope you’ll allow us, as an exclusive buyer agent, the opportunity to work for you. Part of the Greater Boston area, Melrose MA is located roughly seven miles from the city. The real estate market in Melrose MA is extremely popular – considered by many to be among the hottest and most vibrant markets in the nation. The town is located close to downtown Boston featuring excellent restaurants and schools. Prices of homes for sale are also more affordable than in other parts of the region. Although prices vary according to size and location, the average home value among homes in the Melrose MA real estate market is $519,000. With approximately 300 acres of parks, recreational areas, and playgrounds, Wenham MA is a highly sought-after location. This Boston-area suburb is just 22 miles north of Boston and features a variety of real estate for sale. While there are a number of homes on the market for sale at $1 million or more, the median listing price of Wenham MA homes for sale is roughly $675,000. Recipient of the 2010 “Green Community” award by the Massachusetts Department of Energy Resources, the town of Winchester MA is popular among the many professionals working in the Boston area. Winchester MA is located just eight miles from downtown Boston, so it’s well-known as an attractive bedroom community. Real estate values in the Winchester MA market average roughly $900,000. If you have any questions about living in the Greater Boston area, please give us a call at 1-800-252-8937 or contact us via email. You can also come by one of our offices, or we can meet at a coffee shop near you making it convenient for you to take advantage of our FREE Home Buyer Consultation to talk about your dream home and location. 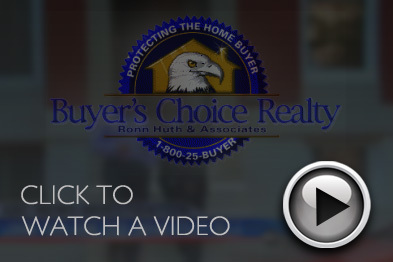 All Buyer's Choice Realty agents are exclusive buyer agents assisting home buyers only. Since buying a home is the biggest purchase most of us will ever make, at Buyer's Choice Realty, we believe home buyers should be properly represented and have an agent on their side negotiating for the best possible price. We want to have an open and honest relationship with our clients. Rest assured, if there is anything wrong with a particular property you like, we will inform you immediately, and if necessary, advise you not to buy it. We don't sell houses we help people buy homes! New Listings as soon as they hit the market? Perform a home search choosing the property features which interest you the most. Receive listings via email which match your criteria.